You may be familiar with Fran Wilde. While Updraft is her debut novel, she’s been an SFF presence for years. She’s a prominent blogger and has a slurry of short stories to her name. Her blog, http://www.franwilde.net/ , features her own original fiction, interviews, reviews, editorials, the works. So, knowing that Fran has been around a while, I was interested in picking up her book Updraft, but I was hesitant. Updraft is the kind of story I know off the bat has the potential to be a huge hit with the YA crowd. It’s about a young girl, Kirit, who wants to be a trader. This isn’t an easy task in a city made up of huge, isolated towers. Kirit will not only need to fly, a fairly common task, but be able to outfly the migrations of skymouths, huge nearly invisible beasts that devour the population of entire towers and can hide in plain sight. I would be lying if I said that this didn’t make me a bit nervous. It sounded AMAZING, but also like it was going to be prone to the YA pitfalls that so often turn me off. Holy crapola was I pleasantly surprised. 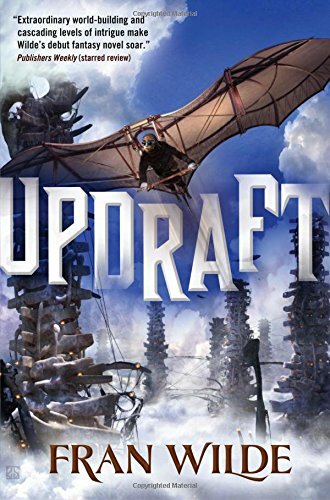 Updraft is the kind of story that is going to rock some SFF socks off. Better yet, it’s the kind of story 13 year old me would have loved and 23 year old me can still really enjoy. The world Wilde creates in Updraft is very cool. The population lives in towers that rise above the clouds. The towers aren’t built, they’re grown out of bone. It features individual flying machines and has a great steampunk meets Dinotopia feel. The city is plagued by giant beasts with voracious appetite. Politically and socially, the world is fraught with problems. It’s run by the Singers, mysterious and extremely powerful people with control over the legal system. The Singers manage the city from a central hub known as the Spire. The towers live in fear of the Singers, but the Singers are the only thing standing between the towers and the Skymouths. The main character is a young girl named Kirit. She’s lived in the top of her tower, which marks her as the daughter of a well-to-do family. Her mother is a powerful trader who rose to rank on her own. Kirit idolizes her mother, but she accidentally comes to face with a Skymouth and lives, which basically screws up Kirit’s plans to work with her mom. Throughout the book, Kirit goes from a fairly impulsive and naive girl to a strategic thinker. Kirit is one of my favorite parts of the book. Her growth is fairly drastic. She grows away from idolizing her mother, to simply wanting to succeed at new challenges, to wanting to do what’s right. Better yet, Kirit has her priorities straight. She’s pretty wrapped up in the problems she’s facing and is one of the few YA heroines I’ve read about in recent years to not get wrapped up in a romantic subplot that undermines the main character’s autonomy and self-empowerment. I did think that some of Kirit’s growth is a bit unsatisfactory. I would have liked to see more time spent on her going from one stage to another, but there was plenty of growth. Similarly, there are plenty of times where Kirit doesn’t really go for the impulsive decision off the bat. I liked that there were “dumb” things she had to be convinced to do. Even better, Kirit is hesitant to jump into any big conspiracies. I did think that there were some oddities with pacing. The beginning third of the story alternated between slow and quick without always transitioning or changing pace where it seemed that it naturally would. The middle had a great feel, but the end again seemed to have a bit of a stop and go motion to it. Overall, though, I was pleasantly surprised by this debut. Wilde really showed some fantastic worldbuilding. I liked the tone, setting, and characters. It’s rare for me to say, but the only thing that this book needed was a bit more length to flesh out some of the transitions and character growth. Another 50 pages and this book would have been perfect. Note: I did receive a review copy of Updraft from the publisher in exchange for an honest review. 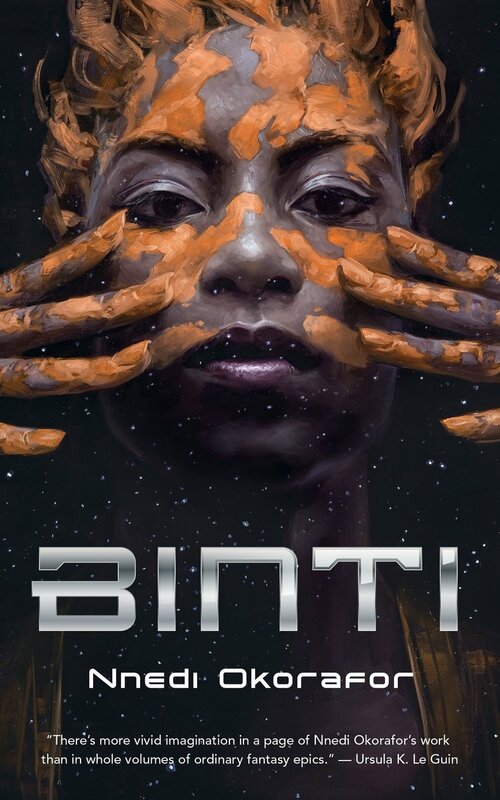 This entry was posted in Reviews and tagged Fran Wilde, Kirit, Science Fiction, Singers, Skymouths, The Spire, Tor, Updraft, YA.